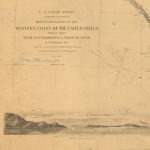 [William Alexander], [untitled map of the Northeast.] [London, 1624/1625]. One of the finest early maps of the Northeast and a crucial document of England’s early attempts at colonization. 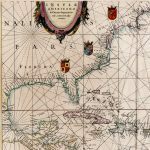 In 1606 James I chartered the London (South Virigina) and the Plymouth (North Virginia) Companies, assigning them the rights and responsibilities for settling vast territories along the East Coast of North America. The London Company established Jamestown in 1607, which after a very rocky start became the nucleus of Virginia. For its part the Plymouth Company managed only an abortive settlement at the Popham Colony on the coast of present-day Maine. So in 1620 James I sought to re-energize colonization in the North by creating the Council for New England in 1620 and granting it the territory between 40 and 48 degrees north latitude. The next year James granted his fellow Scot and court favorite William Alexander title to Nova Scotia and part of the Gaspe Peninsula. No matter that this conflicted with the Council of New England’s holdings; James simply rescinded part of the Council’s grant. Around the same time Alexander also obtained title to much of southwest Newfoundland from the original patentees. After some false starts, Alexander sought to stimulate migration to his vast domains by publishing An Encouragement to Colonies (1624, 2nd edition 1625). 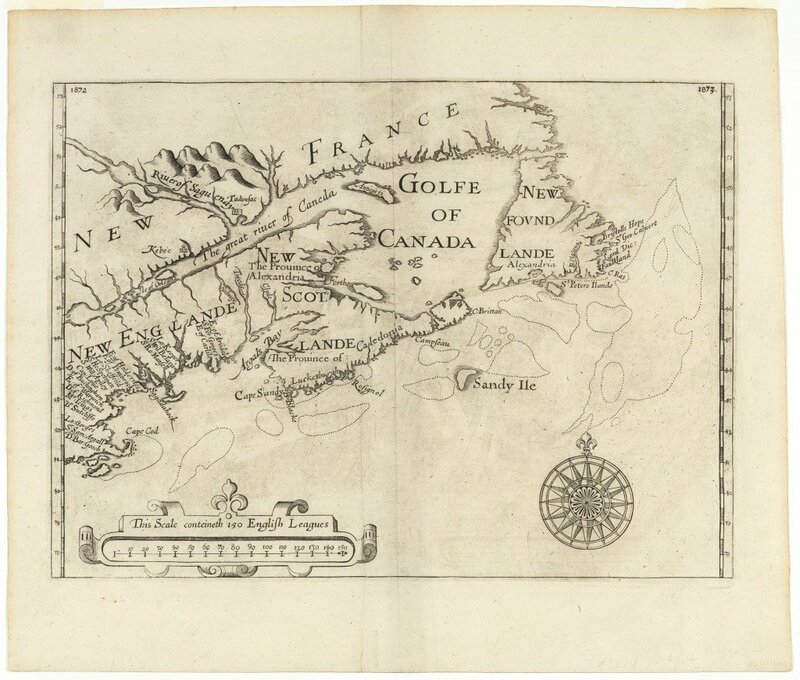 The Encouragement included this map depicting northeast North America from the Elizabeth Islands to Labrador and as far inland as the St. Lawrence and Saguenay rivers. It provides arguably the most coherent and complete rendition of the coast to date, as one can clearly make out “Cape Cod” (the first appearance of this name on a map), Martha’s Vineyard and Nantucket; Boston Harbor, the Charles River and Cape Anne; Casco Bay, the Kennebec and the Penobscot; and a well-defined Nova Scotia and Newfoundland with the Grand Bank clearly delineated. As with most other maps of the time there is little interior detail aside from the rather schematic courses of major rivers; in particular, there is no sign of Lake Champlain, which had appeared as early as 1612 on Samuel Champlain’s map of the region. Alexander’s sources are unclear, as his map differs substantially from other printed maps of the period. This is most noticeable in his presentation of the banks and shoals in the Atlantic, which far exceeds in detail other maps of the time. More interesting still is the map’s rich nomenclature, which highlights three major spheres of control. 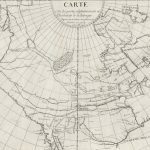 To the North lies ” New France,” including the first appearance of “Kebec” on an English map. In a bit of wishful cartography, the French are shown confined to the north of the St. Lawrence. To the Northeast are “New Found Lande” and “New Scot Lande,” the latter encompassing present-day Nova Scotia and New Brunswick. On New Found Lande one finds a notional settlement at ” Alexandria” as well as the holdings of Sir George Calvert. Calvert invested a fortune in his colony of Avalon (which apparently boasted paved streets! ), but after wintering there he abandoned the effort, obtained a new grant further south, and founded the province of Maryland. As for New Scot Lande, Alexander divided it into the provinces of “Alexandria” and “Caledonia” (shown on the map) which in turn were subdivided into dozens of baronies to be offered for sale. To further entice his fellow countrymen to this most unfamiliar-and largely inhospitable-land, Alexander scattered the region with familiar names such as Caledonia, Forthe, Clyde, Twede and Sulway. The third broad sphere of control is “New Englande,” shown distributed among twenty lords and other worthies. These were members of the Council of New England, among whom in 1623 the region was divided. The intent was that they would establish feudal estates on their holdings, not dissimilar to what was later accomplished by the Dutch patroons along the Hudson River. According to Burden the copy offered here is an example of the second state of the map, issued in 1625 in Samuel Purchas’ Pilgrimes. It is differentiated from the first state only by page numbers in the upper corners. Harvey, entry for Alexander in Dictionary of Canadian Biography Online (http://www.biographi.ca/EN/ShowBio.asp?BioId=34133).